Two very popular high-performance ice melting products are Magnesium Chloride and Calcium Magnesium Acetate (CMA). They share a lot of the same strengths and they can be found for approximately the same price. Which one is better? The answer depends on what you are trying to achieve. Both are environmentally friendly, but one is gentler and the other melts at lower temperatures. Let’s start off with a brief list of what the two ice melts have in common. What do Magnesium Chloride and Calcium Magnesium Acetate have in Common? They make an excellent pre-treatment, adhering to pavement and preventing snow or ice from bonding to the pavement. They both can be mixed with rock salt or sand for spreading. What is So Great About Calcium Magnesium Acetate (CMA)? There is absolutely no chlorine in CMA. Chlorine is the primary reason why deicers eat away at pavement and structures they come in contact with. CMA is about as corrosive as tap water, so very low corrosive properties. 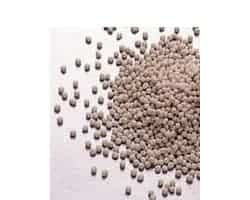 CMA has low toxicity to plants and animals and is completely biodegradable. CMA does not create a “runoff brine.” It tends to sit in place therefore you need to make less applications during a big storm and one application may cover you for multiple periods of freezing moisture. What Are the Cons of Calcium Magnesium Acetate (CMA)? CMA only melts down to about 15°, the same temperature as rock salt. It is not great at melting snow (rock salt works much better for this purpose). CMA works better as a pretreatment on pavement to keep snow from sticking. What is So Great About Magnesium Chloride? Magnesium Chloride melts ice down to a frigid -13°. 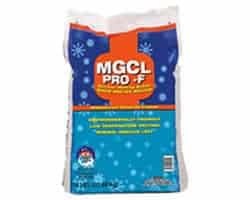 Magnesium Chloride tends not to leave residue, so it is great to use in front of building entryways to help limit the mess you often see during winter events. In other words, when the snow tracked in dries, you do not get a whole bunch of grey film sitting on top of the flooring like with rock salt. Magnesium Chloride helps make dirt roads more compact. Magnesium Chloride is great for keeping dust down and is even used as a dust treatment on roads, at construction sites, and in horse arenas. 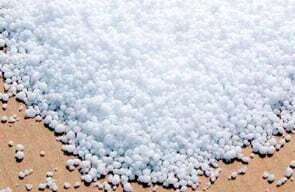 What Are the Cons of Magnesium Chloride? There is only about 1/3 the chloride in Magnesium Chloride compared to rock salt, but it still contains chlorine. The small amount of Choride means Magnesium Chloride has a slightly caustic effect on pavement and other surfaces. While it is much less caustic than rock salt, it is still harder on surfaces than CMA. If you need the more environmentally friendly ice melt of the two options, then you will want to stick with CMA. If you need the best performance for your money, Magnesium Chloride is going to be your best bet. To be sure, we love both products. They are both environmentally friendly when used properly and they both have a good value for the money you spend when they are used as intended.